I live in Ackland NewZeand and am looking at a jacket she has been advertied on the NZ equlivent of e bay the one im intrested in only has a sample photo but she is happy for me to view the item, but the other has real photo and the tags etc are showen. im going on the assumption that if one is fake so will the other. Could you please have a look for me? You're probably not going to see this comment, but here goes nothing. 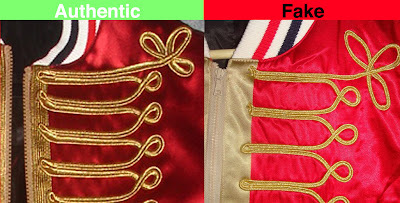 Would you please verify if this Dior Homme marching band jacket is fake or not?